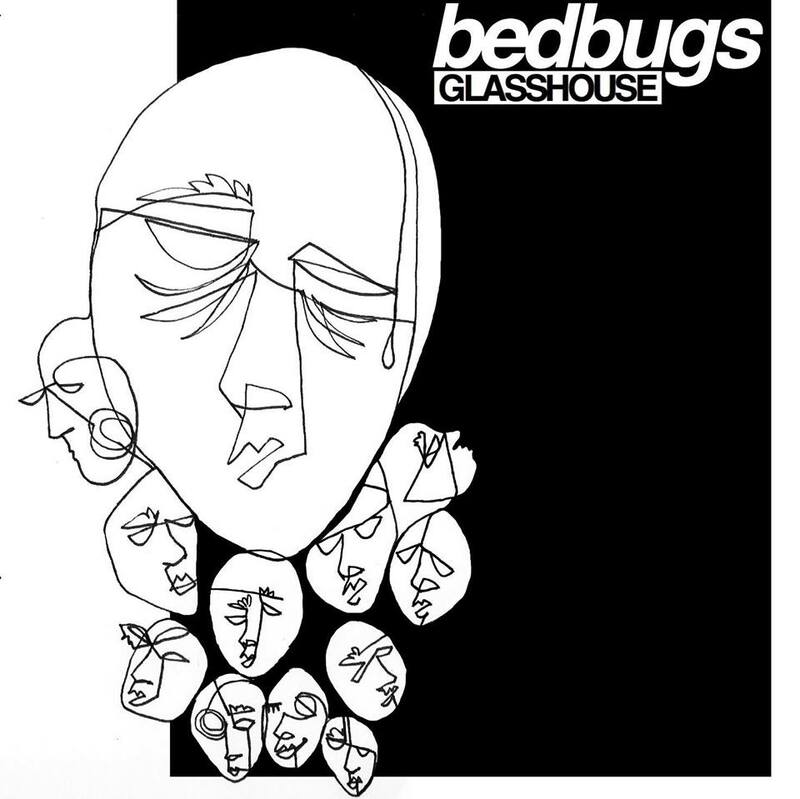 Sure, they may share a name with one of nature’s biggest nuisances, but LA band bedbugs are, blessedly, nothing like their namesakes. 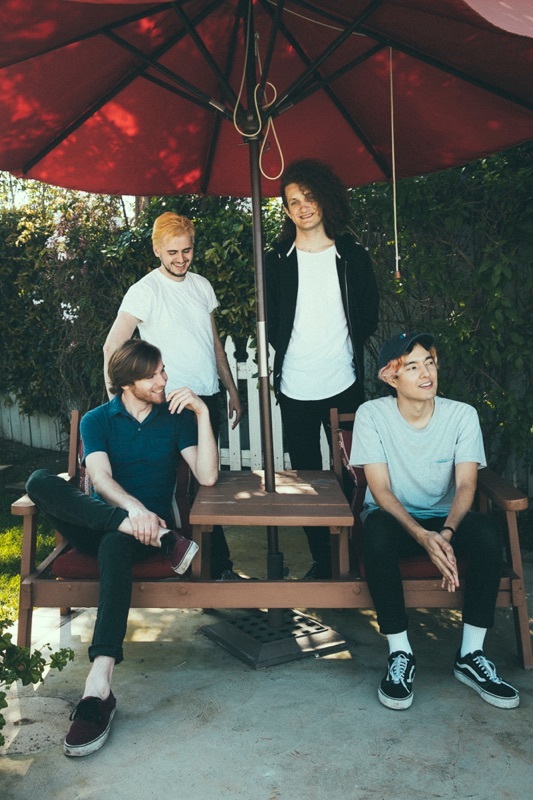 The LA four-piece, made up of Alex Johnson (vocals, guitar), Kevin Puckett, (bass), Vlad Beseda (guitar, vocals), and Kenzo Cardenas (drums), have been releasing music since late 2015 and making a name for themselves throughout the LA/OC area ever since. Their synthrock-plus-powerpop (plus “band with guitars” sound, as their Instagram bio bluntly states) once again shines in their latest EP, Glasshouse, which arrives this Friday. When we wrote ‘Not Complaining,’ I decided to approach the lyrics differently than I normally do. I tend to turn the focus inward when writing lyrics; introspection can lead to some great revelations (also some horrible devastation). This song ended up being different because I set out to write a true love song – something I haven’t done in a long time. The result is an intimate, meaningful love song that still somehow finds a way to be self-deprecating. Which “Not Complaining” does in a totally unassuming fashion. The song starts off with soft guitar, Johnson’s equally-gentle vocals joining in as he begins “Your favorite color is pink and that’s good, because so is my nose.” Johnson’s vocals and lyrics, blunt in their self-assessment, coupled with the guitar, have a warm sense of familiarity to them. Maybe it’s the lyrics’ honesty that, when matched with Johnson’s voice, make them slightly reminiscent of the best of the emo rock of the mid-2000s; specifically, the surprisingly sweet love songs hidden on any album of choice that you only discovered one day while spinning the CD after returning home from a particularly bad day in middle school. Okay, maybe the middle school anecdote’s a little weak — but there’s a definite sense of youthful discovery present as the song begins, largely in part thanks to its early quietness. And as the heavier synth elements come in following those first verses, the entire song begins to build slowly, both in decibels and in passion. As the words create a bigger picture, everything gets louder—so much so that by the time the song hits the chorus, it’s a bona fide banger. And yet the song’s honesty is never sacrificed. Throughout “Not Complaining,” we see tidbits of a relationship—the odd things you remember about yourself and about that other person when you’re in love (sunburns, loving sleep, etc.—they’re all very personal touches that gives a song a sense of real credibility). And every return to the chorus draws listeners back to that wondrous question—the one that strikes you while you lie awake in the middle of the night and when you’re smiling at a text in the middle of the day—why you, of all the people on the planet, get to receive that one person’s love. The band latches onto that sense of wonder and the sense of invincibility that comes along with it to build “Not Complaining.” As the song progresses, it becomes more confident. Louder. More of a declaration than the quiet questioning that characterized the song’s beginning. In this way, the song has mirrored the way feelings tend to grow—soft and meek inklings that slowly blossom into a confident assertion. Yes, the question why me? is still there, but it’s shouted joyfully at the top of Johnson’s register without a trace of doubt. That’s where bedbugs succeed—in capturing the sheer joy of being someone’s everything. In all its self-deprecating glory, “Not Complaining” both subtly questions why someone would want to stick around and loudly exults in the fact that they have, making it one of the most honest songs about modern love about today.